The investment arms of two prominent Protestant Christian church organizations are “walking the talk” by putting large sums of capital to work to expand clean, emissions-free energy access in local developing world communities. The Church Pension Fund (CPF), a financial services organization the serves the Episcopal Church, and Wespath Benefits and Investments, an agency of The United Methodist Church, have invested $60 million ($30 million each) in Developing World Markets’ (DWM) $60.8 million ORCA (Off-grid Renewables-Climate Action) note. Carrying a 5.85% coupon and a four-year term, DWM’s ORCA social impact note breaks new ground, not only for DWM and its investors, but for both international development and sustainable energy finance. “The Church Pension Fund was pleased to serve as an anchor investor, which helped bring other investors to the table to provide renewable energy finance loans to social businesses in the developing world,” CPF managing director and chief investment officer Roger stated. DWM is investing the proceeds of the ORCA note in 11 companies/organizations working on the ground in low-income communities in Ecuador, Guatemala, India, Kazakhstan, Kenya, Mongolia, Nicaragua, Rwanda and Tanzania, CPF highlights in a press release. Eight of the 11 are local microfinance providers. 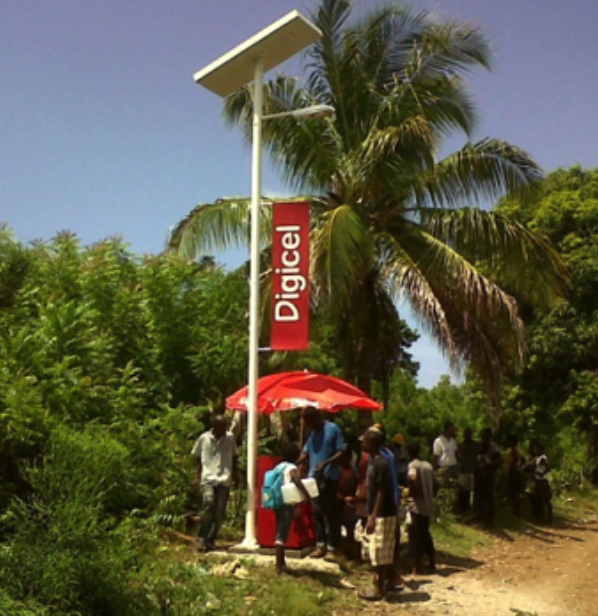 Three – d.light, Kingo Energy and Off-Grid Energy – are among a set of ambitious, fast growing mobile pay-go home/community solar energy products and services start-ups cropping up across the developing world. Founded in 1994, the ORCA note marks a first for DWM and international capital markets, Courtland Walker, who leads DWM’s product development and partnerships initiatives, explained in an interview. All told, the social impact/sustainable development finance specialist has structured and invested over $1 billion in special purpose debt instruments for more than 170 companies across more than 50 developing countries. “The off-grid solar space may sound like it’s all about energy and photovoltaic cells, but it doesn’t work without the financing side, and that’s our expertise, and that’s how we were able to come in and recognize that this is actually part of our space, and to take the next step of including it in our space,” added DWM managing director Peter Johnson. For its part, CPF has put nearly $1 billion of capital to work in socially responsible investments spanning 23 countries. These are focused on women- and minority-owned firms; economically targeted initiatives, including urban redevelopment, affordable housing, sustainable agriculture, and microfinance; and environmental-related programs that invest in sustainable forestry, clean technology, and green buildings, management elaborates. “The off-grid solar energy space, and the financing DWM has provided, responds to the unavailability and the unreliability of conventional systems. There are, estimates vary, but we read 1.3 billion people around the world who are literally off-grid – they’re just not in the neighborhood where the grid reaches. Then there are roughly, perhaps another billion are within reach of the grid, but they haven’t connected to the grid or grid power isn’t reliable,” DWM’s Johnson explained. “In all these cases, the conventional has failed to achieve the expected goal, so there’s an unconventional solution, which a combination of innovative technology and financing is now providing. “Just like we saw not too long ago, how mobile phones space ‘leapfrogged’ over access to telephone lines, especially in Africa and India, to the point where I would say those land-based phone lines and networks will probably now never be built because there’s no need for them.